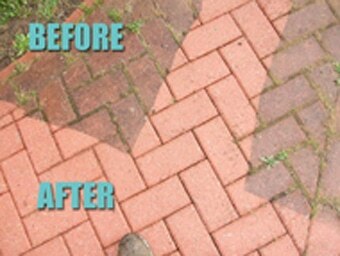 Driveway Cleaning Nottingham, find driveways cleaning services in Nottingham, we clean driveways Nottingham and surrounding areas | Nottingham Driveway Cleaning . Aquablast Using the most advanced high pressure steam cleaning equipment available, we can clean and restore exterior surfaces to a standard that very few companies can match. With our hot steam system we can get driveways of all kinds back to their original condition. Aquablast can provide 3 services, wash, wash and sand and wash sand and seal, all done in hot water with our twin boiler machine, reaching up to 120 degrees, removing the most stubborn grime, blackspots and brick fungal, killing all weeds.